It's been a year since an all-new Sailor Moon anime was announced, and since then, nothing. So we're not sure how accurate these new announcements will end up being, but just in case: The series begins this winter, and it will contain a new adventure of the Sailor Scouts. 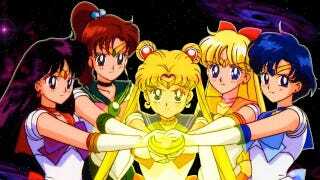 This news was announced at the second Sailor Moon 20th Anniversary Event, as Kodamsha editor Fumio Osamo stated the series would be "a new direction" compared to the previous anime. It was also announced that the TV show would stream worldwide on the Japanese video site Nico Nico Douga. Whether the series will have subtitles has not been determined, so you might want to start brushing up on your Japanese.